Pope Francis on Sunday encouraged people of different religions to work together in caring for the Earth, which he called our "common house." Speaking from his window in a Vatican palazzo to tens of thousands of pilgrims and tourists, Francis singled out a few hundred people who had marched to St. Peter's Square under the banner "One Earth, one family." 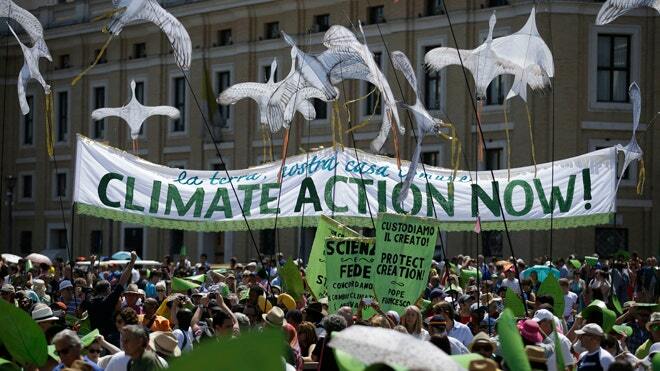 The marchers included Christians, Muslims, Jews, Hindus and others who had walked from near the French embassy to remind people of a key U.N. climate change conference in Paris in December.